Incident Details: A man walking with his partner, was walking down to the Thirlmere Reservoir from the car park at Station Close car park. 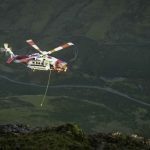 He slipped on a wet rock close to the edge, and suffered a serious injury to his lower leg. The crew of an NWAS ambulance had already reached the scene, and treated the casualty. He was then stretchered up to the Team Landrover on a higher track. With the use of some local knowledge, it was possible to drive him up some of the local forest tracks back up to the main road. He was transferred to the NWAS ambulance, and driven to the Royal Lancaster Hospital for treatment. 11 Team members – 1 hour 32 minutes.